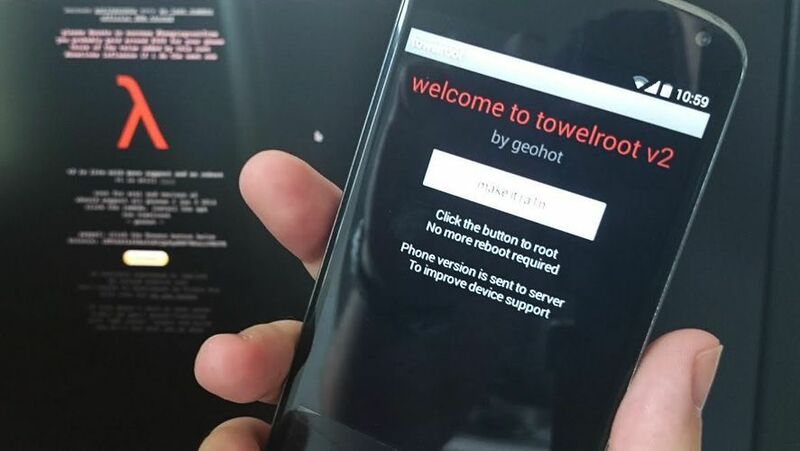 Towelroot hasn’t exactly appeared from nowhere; in fact it was created by the well-known US hacker GeoHot, who at 24 years old already has among his achievements the fact that he is the first person to have jailbroken an iPhone and created a way to use homebrew on the PlayStation 3 console. Luckily, he now seems to be interested in the world of Android. To be able to use Towelroot you just have to download and install the APK on your device and click the “make it ra1n” button (which will be familiar to many iOS users). In a few moments your device will be rooted. The only requirement is to have a kernel updated prior to June 3, 2014, date when the aforementioned vulnerability was detected. With regard to the smartphone models that can take advantage of Towelroot, it’s actually surprising, as practically any model of Android device can be rooted, including some modern releases like the Nexus 5 or the Samsung Galaxy S5 from the American service providers Verizon and AT&T. The only ones that don’t allow you to use the tool are the latest models from HTC and Motorola. You just have to keep in mind that after doing the root, your smartphone will be completely protected and any apps you install will have maximum administrator permissions, meaning it’s recommended to install a permissions management app like SuperSU. Will Toweelroot work on an HTC Evo 3D please? Γεια σας σε lenovo A806 θα κανει δουλεια? Will Toweelroot work on an lg x cam? it says phone not secure what does that mean?